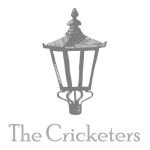 Here at The Cricketers we are fortunate to host entrepreneurial chef Phil Bartley and his team. Their latest venture sees The Brighton Roast Company take residency. As the name suggests you’ll always be able to order a range of classic ‘Sunday’ Roasts – but on any day of your choosing! The menu focuses on Roast style dishes, sides and sub-rolls, producing restaurant quality food and showcasing the best locally-produced ingredients. We still also offer some classic dishes you would expect from a ‘proper pub’ but with some little twists and fresh, quality, local ingredients. The burgers are renowned throughout the city! Here at The Cricketers we are fortunate to host entrepreneurial chef Phil Bartley and his team. Their latest venture sees The Brighton Roast Company take residency. As the name suggests you’ll always be able to order a range of classic ‘Sunday’ Roasts – but on any day of your choosing! The menu focuses on Roast style dishes, sides, and sub-rolls, producing restaurant quality food and showcasing the best locally produced ingredients. We still also offer some classic dishes you would expect from a ‘proper pub’ but with some little twists and fresh, quality, local ingredients. The burgers are renowned throughout the city!